AVON, May 26 -- With Housatonic dropping its varsity program due to a low number of players, the Pequot Conference has modified its schedule and divisions. In 2013, the Pequot moved to a three division format with seven teams in each division (West, North, South). With 20 varsity teams, the league is moving back to its two division format (Uncas and Sassacus) that the Pequot used from 1993 to 2012. SMSA/University moves back into the Uncas Division. HARTFORD, Dec. 11 – Four players from the Sports Science Medical Academy/University High football were selected to the All-Pequot Conference Northern Division All-Star team. Senior running back Kadeem Johnson, offensive lineman/receiver Shawn Lozada, QB Wilfredo Alicea and linebacker/running back Ezequiel Ortiz were recognized. Lozada and Johnson earned All-Star honors for the second straight year. They were on the All-Uncas team a year ago. Lozada, who caught 10 passes for 116 yards this year, was recognized for his play on the Tigerhawk offensive line. He also played defense. Alicea and Johnson were placed on the Northern Division squad as defensive backs while Ortiz was selected as a linebacker. The Tigerhawks went 5-6 this season and 3-3 in the Pequot Conference’s Northern Division. SMSA/University’s four All-Stars selections made plenty of noise on the offensive side of the ball this year and during their scholastic careers. Alicea has been the starting quarterback for the past three seasons. In his high school career, he has completed 192 passes for 2,918 yards and 26 TDs. This year, he completed 49-of-160 passes for 720 yards and 5 TDs. He was the leading rusher for the Tigerhawks, running for a career-high 1,541 yards and 13 TDs. Johnson also ran for 1,000 yards this season, rushing for 1,058 yards and 6 TDs. Ortiz has played on the varsity team for three years. This fall, he ran or a career-high 712 yards and 9 TDs on 149 carries. He also led the team in receptions with 18 for 210 yards and two TDs. Ortiz scored 11 touchdowns and a team-leading 15 two-point runs, scoring a team-high 96 points. HARTFORD, Nov. 26 – On a wet evening and on a muddy field, the Tigerhawks couldn’t stop Enfield in the fourth quarter of a 13-12 decision at Dillon Stadium. Trailing by five points, the visiting Raiders marched 68 yards on 10 plays and Thomas Watson scored from the four-yard line with 8:50 left in the game to take the lead. Watson scored both TDs for the Raiders (5-6, 3-3 Pequot North). The difference in the game was an extra point by Enfield's Nick Joren in the first quarter. Enfield took a 7-0 lead on a 1-yard run by Watson. The key play on the drive was a 50-yard completion from Chris Lapointe to Tyrik Henry. SMSA cut the lead to one when Kadeem Johnson scored on a 38-yard run. The two point conversion run failed. Earlier in the second quarter, the Tigerhawks had driven to the Enfield 5 but lost the ball on a fumble. The Tigerhawks (5-6, 3-3 Pequot North) took a 12-7 lead on a short 30-yard drive that began with the Tigerhawks recovering an Enfield fumble. Alicea scored from the 1-yard line. “They changed up their offense in the fourth quarter and we couldn’t stop them,” Tigerhawks coach Graham Martin told the Hartford Courant. “That was the name of the game.” Johnson led the Tigerhawks with 88 yards rushing on 13 carries. Alicea completed 4-of-15 passes for 30 yards and two interceptions. Kevyn Brown intercepted an Enfield pass for the Tigerhawks. CLINTON, Nov. 22 – Junior running back Jake Ward ran for five touchdowns and a career-high 345 yards on 29 carries as the Morgan School beat the Tigerhawks, 40-16 under the lights on Friday night to clinch a spot in the CIAC’s Class S tournament. Huskies QB Alex Lipka completed 7-of-10 passes for 119 yards and 1 TD. He also ran for 101 yards on eight carries. The Tigerhawks (5-5) received a touchdown run from Ezequiel Ortiz and QB Wilfredo Alicea threw a 20-yard TD pass to Nick Lajara. HARTFORD, Nov. 15 – Controlling the game on the ground, the Tigerhawks ran for over 300 yards to win their second straight game with a 30-20 victory over Windsor Locks/Suffield/East Granby in a Pequot North Division contest at Dillon Stadium on Friday night. Wilfredo Alicea, Kadeem Johnson and Ezequiel Ortiz each ran for over 100 yards in the win. Ortiz ran for a team-high 144 yards and a touchdown on 21 carries. Johnson rambled for 116 yards and one TD on 17 carries while Alicea at QB ran for 108 yards and two TDs on 17 carries. SMSA/University has won two of its last three games. The Tigerhawks (5-4, 3-2 Pequot North) need to win just one of their final two games to finish with a winning record for just the second time in the program’s history. SMSA went 5-4 in 2005 and won the Freedom Conference championship. The co-op program with University began three years ago in 2010. 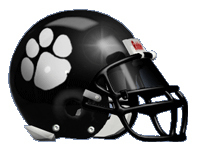 BRISTOL, Nov. 9 – Ezequiel Ortiz scored three TDs to help the Tigerhawks beat Lewis Mills, 40-30 at Muzzy Field in Bristol. Ortiz ran for two TDs on runs of 12 and 1 yard and caught a 12-yard touchdown reception from QB Wilfredo Alicea. Ortiz scored 28 points with three touchdowns and five 2-point conversion runs. For Lewis Mills, Lucas Lanning threw four TD passes in the game to four different receivers – Max Stone, Trevor Watts, Justin Pease and Dom Jankowski. OLD SAYBROOK, Nov. 2 – Old Saybrook/Westbrook built a 20-point lead, saw the Tigerhawks cut the lead to one and then ate up most of the remaining time in the fourth quarter to beat SMSA/University, 33-26. Brett Sparaco ran for a game-high 203 yards and 2 TDs for the Rams, now 3-4. Old Saybrook/Westbrook led 20-0 in the third quarter but the Tigerhawks scored three consecutive touchdowns to make it a game. Trailing 20-12, SMSA/University's Nick Laraja caught an 8-yard touchdown pass from Wilfredo Alicea with 9:28 left to cut the lead to two points, 20-18. The Tigerhawks completed a two-point conversion pass from Alicea to Devyn Lozada but the play was wiped out by an ineligible receiver downfield penalty. Another two-point conversion pass attempt failed. The Rams extended their lead to 27-18 on a nice run by Sparaco and the extra point. But on the ensuing kickoff, SMSA's Derek Mitchell ran it back 74 yards down the right sideline for a touchdown. Edgar Torres made a key block that took out two Ram defenders and allowed Mitchell to zip down the sideline. Alicea ran in the two-point conversion to cut the lead to one, 27-26 with 7:12 remaining. However, OSW ate up most the remaining time in the game on a long drive that ended with Dion Swain scoring the touchdown on a reverse to push the lead back to seven. Alicea led the way for the Tigerhawks (3-4), running or 94 yards on 16 carries. Kadeem Johnson (12-53), Ezequiel Ortiz (8-51) and Jesse Etienne (8-50) gave SMSA/University good balance on the ground. Through the air, Alicea completed 5-of-19 passes for 73 yards and an interception. HARTFORD, Oct. 26 – In the biggest win since they’ve joined the Pequot Conference, SMSA/University stunned Cromwell, 39-19 at Dillon Stadium on Saturday afternoon. The Tigerhawks moved the ball with success on the dusty Dillon Stadium turf, rushing for 310 yards on 61 carries. Kadeem Johnson, who sat out last week’s loss to Ellington/Somers with an injury, ran for 138 yards and a touchdown. He also pulled in a 19-yard touchdown reception. Ezequiel Ortiz, who also missed the Ellington game, ran for two TDs while quarterback Wilfredo Alicea rushed for 139 yards on 16 carries. The Tigerhawks caused three turnovers, sacked Cromwell QB Mavric Pelletier seven times for 43 yards in losses and blocked two extra point attempts. Cromwell took a 7-0 lead on a 39-yard touchdown pass to Jarius Bailey but the Tigerhawks cut the lead to one on a seven-yard TD run from Johnson. SMSA/University took a 14-7 lead in the second quarter when Johnson scored on a 19-yard TD pass from Alicea. The Panthers scored an additional TD but missed the extra point and trailed 14-13 at halftime. In the third quarter, SMSA/University scored a pair of touchdowns from Ortiz to extend its lead to 28-13. Cromwell cut the lead to nine with a fourth quarter touchdown but the Tigerhawks clinched the victory with Edgar Torres’ 22-yard interception return and a two-point conversion run from Shawn Lozada. Cromwell has played in the CIAC Class S tournament in five of the past seven seasons. HARTFORD, Oct. 17 -- Every football teams makes mistakes. The Sports Science Medical Academy/University High football team can’t afford to make mistakes and win ballgames. The Tigerhawks had some impressive drives Thursday night at Dillon Stadium in a 28-6 Pequot North loss to Ellington/Somers at Dillon Stadium. But a few key mistakes kept SMSA/University from hanging with the visiting Purple Knights. 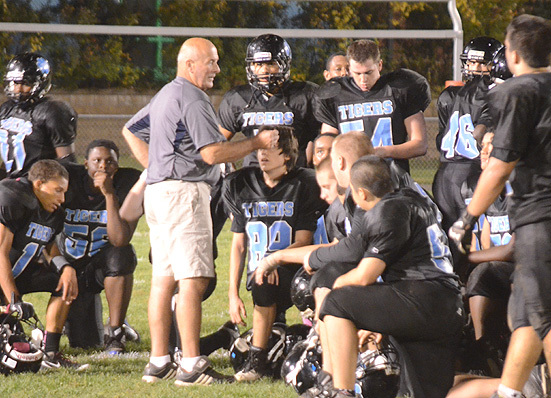 “We play pretty good football, we move the ball and then we break down,” SMSA/University coach Graham Martin said. “Mistakes killed us." WOODBURY, Oct. 12 – Quarterback Wilfredo Alicea ran for a game-high 214 yards and three touchdowns to lead the Tigerhawks to their second win of the season with a 26-20 win over Nonnewaug. SMSA/University led 6-0 at halftime thanks to Alicea’s one-yard run in the second quarter. Early in the third quarter, Alicea scored on a 20-yard run to extend the Tigerhawk lead to 12-0. The Chiefs stopped both two-point conversion runs. Twice, Nonnewaug (1-3) cut the lead to one score on touchdown runs from Jon Gambos (7, 15 yards). But each time, the Tigerhawks responded. Kadeem Johnson had a six-yard touchdown run and Alicea scored on a two-point conversion. After Gambos second TD, Alicea scored on a 42-yard run to put SMSA/University up 13 points, 26-13. Gambos finished with 107 yards on 17 carries. Nick Uberti scored on a four-yard run and Nick Bordiere kicked the extra point to trim the Tigerhawk lead to six but that is as close as the Chiefs would get. HARTFORD, Oct. 4 – Wilfredo Alicea ran for a pair of touchdowns and 130 yards on 19 carries but Coventry/Windham Tech/Bolton scored two fourth quarter TDs to pull away and beat the Tigerhawks at Dillon Stadium. Alicea’s second TD run of the game gave the Tigerhawks a 16-14 lead in the third quarter but Vincent Marciano and Justin Blosser scored on individual runs in the fourth quarter to lead the Patriots. Patrick Richards had 97 yards receiving for SMSA/University (1-2, 1-1 Pequot North). STAFFORD – Wilfredo Alicea and Kadeem Johnson each ran for two touchdowns and the Tigerhawks had 538 yards of offense to earn their first win of the season with a 38-18 win over East Windsor on Saturday night under the lights. DURHAM – Despite scoring 38 points, the Tigerhawks dropped their season opener to Coginchaug, 48-38 in a shootout Saturday. Ezequiel Ortiz and QB Wilfredo Alicea each scored two TDs. Alicea ran for two TDs while Ortiz ran for one and caught a TD pass from Alicea for his second score. Kadeem Johnson had a 69-yard punt return for the Tigerhawks in the first quarter. SMSA/University coach Graham Martin talks to his team after a recent game at Dillon Stadium.